A little over a year ago, my dear friend Anna Smit asked me to pray with her about a website that she felt the Lord was asking her to open. It would be a space where those who had traveled a prodigal path, and those who were praying for loved ones on a prodigal path, could join together to be encouraged in the Lord. I was so excited to see how the Lord would bring blessings to that space. I just did not envision the blessings that He was going to bring to ME as I joined in with Anna, even as I shared a poem He had gifted me on that very first post in September 2017. If you’ve been following me here, you might remember many posts that I was blessed to share at Beloved Prodigal. The Lord brought up from the deep places of my heart the stories of His carrying me in my prayers for my own sons when they had been on a wandering path. In those sharing times, God gave me such beautiful moments of seeing how utterly faithful He had been to us. In being part of the team, I have been so blessed to come alongside others who are walking those same paths now, and to join them in lifting their prayers to Jesus. But as the team sought direction for God’s guidance this past summer, I was so overwhelmed at the ways my heart had become so woven together with the dear women of Beloved Prodigal, and with my very dear friend Anna. He has brought us through so much together, and He has allowed us to truly lift each other to the Lord through so many prayers. Click here to read the precious post shared today by friend Gayl S. Wright who has been part of the Beloved Prodigal Team also. I wondered at the direction He was giving, when we each heard the words, Death and Resurrection. I had been through so many other “deaths” of ministries that I had been involved with in Leadership roles. Was this going to be another painful loss? Oh, but what the enemy may have meant for harm, God has used for so much good! Through this time of Death and Resurrection, God has brought such healing to me for all of those past times of loss. His ways are not like ours, for the way of the Cross brings us to those places of laying down our own plans and visions. It is in that dying to self, even for things that have been so good, that God will truly birth His new life, resurrecting beauty for ashes. I invite you to follow me over to the Beloved Prodigal website one more time, to read Anna’s words as she shares about the journey of God’s leading through Beloved Prodigal. Click here to read today’s post at Beloved Prodigal and to hear about some of the “New” that God has been birthing through this process of dying. Bettie, I loved reading about how the prodigal birthed, how you became part of it’s team, and also how you’ve experienced ‘deaths’ of ministries (and the heart break of those). I’ve only been involved in leading for about 5 years now, and just recently going through “deaths” including the loss of leaders I was close to at my church. It’s been a recalibrating season of trying to figure out where God wants me to serve. Does He even want me to serve through the church, or am I to change and embrace more the new ministries developing? You’ve given me hope in the knowing that it’s a season that is experienced by others! And normal to feel heart-broken over the loss but God carries you through to His plan for His splendour. I am so sorry that you are going through that heartbreak of loss within the ministries you are part of. I will keep you in my prayers, to feel the leading and the comfort of our Lord, as He is walking you through this season. He does work all things together for such good in His Kingdom. But it’s not always visible to us, as we are in the trenches of those trials. I am so grateful that we can encourage and pray for each other through these days! Blessings to you Dear Sister! So thankful for you, Bettie. Praying your today is filled to the brim with Words of resurrection that encourage and strengthen you. Sending so much love and hugs…one day I’ll get to finally give them in person and in the meantime I’ll have to settle with Skype, emails and Messenger 😁. Oh yes, may I keep my eyes lifted to Jesus to hear Him speaking words of Life and Resurrection even toda I am so thankful for your friendship and love. Won’t that be wonderful when the Lord allows us to finally meet in person? If not here on earth, then we will keep looking forward to Heaven where it will be all the more sweet as we share Him together!! thank you Betty for sharing this site with others, I look forward to checking it out. You are so welcome Wendi! I pray the Lord’s blessings on you today Dear Friend! thank you so very much Bettie……….I am deeply humbled. Thank you for stopping by and joining in at Beloved Prodigal too, Michele! Oh, you always know how to make me smile, Big Brother! Love you! Praying for you all. God is leading you all in to new directions and ministries which will be a blessing to everyone. I just read your own blog, and am so thankful to see that you are safely back home! Yes, our Lord does lead us–whether it’s the urgent guidance needed for evacuation in the storm, or the direction for moving ahead with His words. Thank you so much for all of your prayers too! Blessings to you! Bettie, thank you so much for all you have contributed to encourage so many of us. God does indeed take us through deaths, but then there is always resurrection as He continues with us on our journeys. Thank you for the way you give of yourself so beautifully to encourage and give hope to those who read your words. Thanks especially for your friendship these last few years and for the ways we have shared with each other in our prayers, our families and sweet fellowship. It’s so amazing how God resurrects life out of death, isn’t it, Bettie? Thank you for all the encouraging posts both here and at Beloved Prodigal. May God bless you and Anna in your new adventure for Him! I assume we will hear more about the podcasts here, too? Anna mentioned following updates at Instagram, but I’m not there anymore. Love and hugs to you! Oh, the cross of Jesus! It compels and calls to us all to come and let go of who we are to become more of who He is. I have thought much of late about the power of His resurrection, and before there was a resurrection, there was a Calvary. Before there was a Calvary, there was a Gethsemane. So many thoughts you brought back to my mind today, sweet friend. Sending much love to you and so much gratitude to God for your faithfulness to the calling He has placed upon your life. Oh thank you for these beautiful thoughts that you have added to the conversation here. You are so right, that our Jesus went through both Calvary and Gethsemane for us. Our own surrenders pale in comparison to the huge surrenders that He made. And yet, every time we surrender to Him, I believe there is much celebration in Heaven! What a glorious victory that He has won on our behalf. I am so very grateful for you my dear friend, and the ways that you lift my thoughts to Him also. Blessings, love, and hugs to you tonight! Yes, what the enemy means for harm, God uses for good in our lives! Praise the Lord! Oh, Amen, God surely is at work to bring about His good into our lives. What Grace He gives to us! 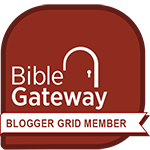 And thank you so much for the blogger award–I am humbled that you would think of me!! But I do have to defer on that, as I must be so careful to pace my energy and my days. Blessings to you as you share His sunshine! Thank you for sharing such deep parts of your heart. I love your words and how God is using you in just the right ways. I popped over to Beloved Prodigal and I am sorry to hear that you are laying it down, but I love hearing how God is still ready to use you and Anna. Thank you for being such a blessing. Dear Mary, Thank you for the ways that you bring such blessings as you invite us to share community! It truly is a gift of the Lord to join in the fellowship that He creates within His Body. I pray that He will keep my heart open to learn more of His beauty there as we go forward in this new life He is birthing. Thank you for your encouragement! Blessings to you! The members of the Beloved Prodigal Team are so talented. I am so glad to have this resource to read regularly. 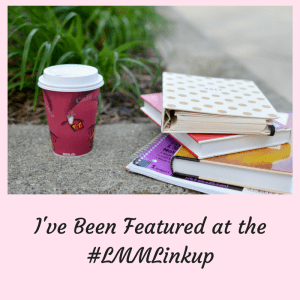 Thanks for linking up with us at the #LMMLinkup. Yes, it’s been such a joy to be part of the Beloved Prodigal team. While I am sad to see it end, I am rejoicing at the way that God is bringing us each to New Life in Him! Blessings to you! Dear Bettie, it’s been a joy to read the results of the Lord gently probing the deep recesses of your heart. Your honest sharing has really spoken to and blessed me considerably. I love how our paths crossed a few years back and how we have both been blessed to be a part of Beloved Prodigal. It’s so good to hear about the new creative expressions God has been birthing in you and Anna.